My first inclination would be to say this is a blimp but there were no sporting events on this particular weekend and the UFO quickly disappeared shortly after the witness took one photo. Also the large M you see in the widow is a reflection of the witness baseball hat. During the evening just before a large snowstorm hit Detroit i witnessed this object from my upstairs south window. 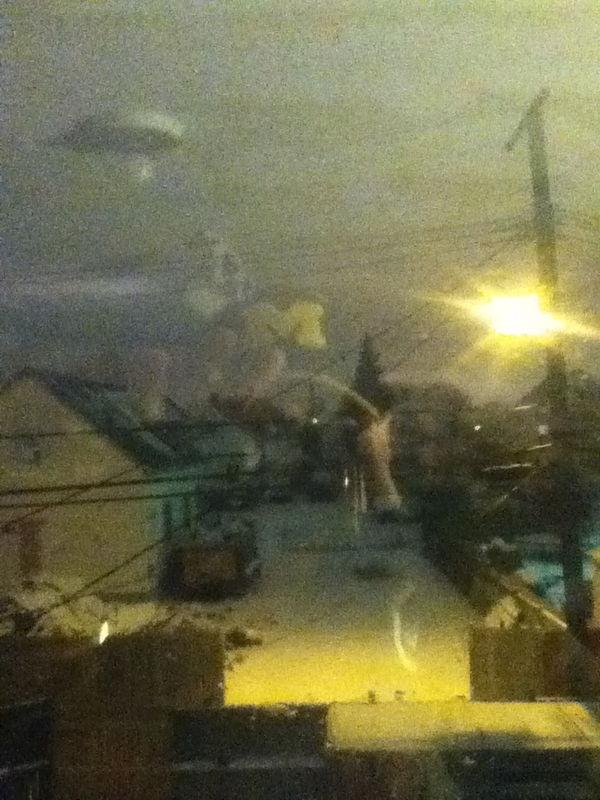 It appeared to hover over the houses .I managed to take one picture from my itouch looked down to check my picture it was gone when i looked up the reflection of my hat can be seen in window.